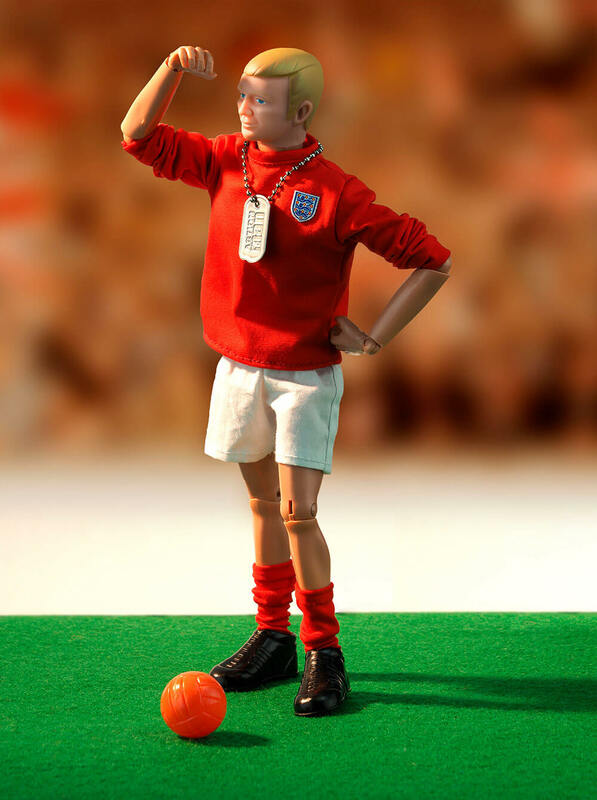 In December 2016 a special limited collector's edition Bobby Moore figure in his historic England kit was released, first previewing at the AMCon16 Action Man convention at the old Palitoy Factory site. 1,966 have been produced to commemorate the 50th anniversary of England winning theFootball World Cup in 1966. 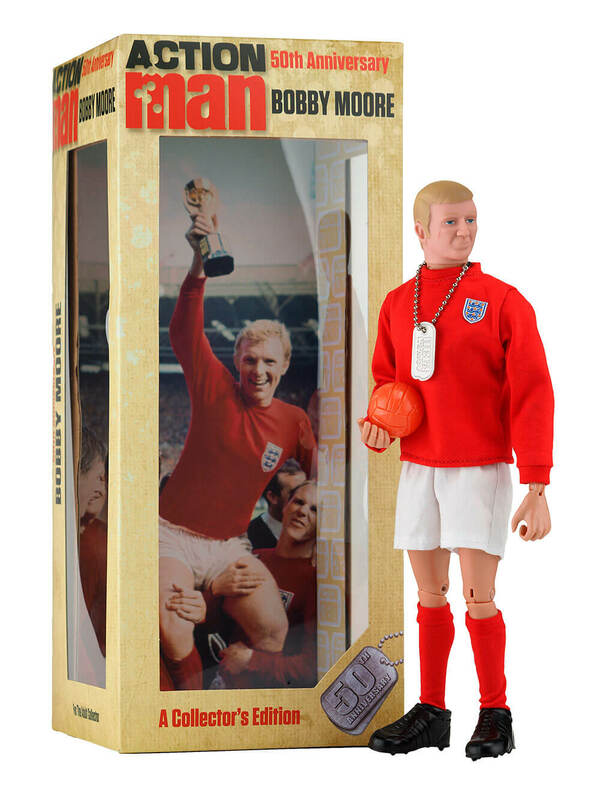 He has a specially commissioned head-sculpt, and £6 (10%) from sales go to The Bobby Moore Fund. 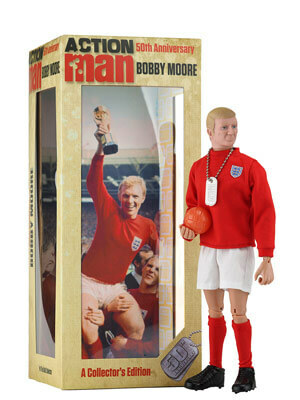 Produced in Association with the FA, The Bobby Moore Fund, Cancer Research UK, Hasbro and Art & Science. RRP is £59.99. 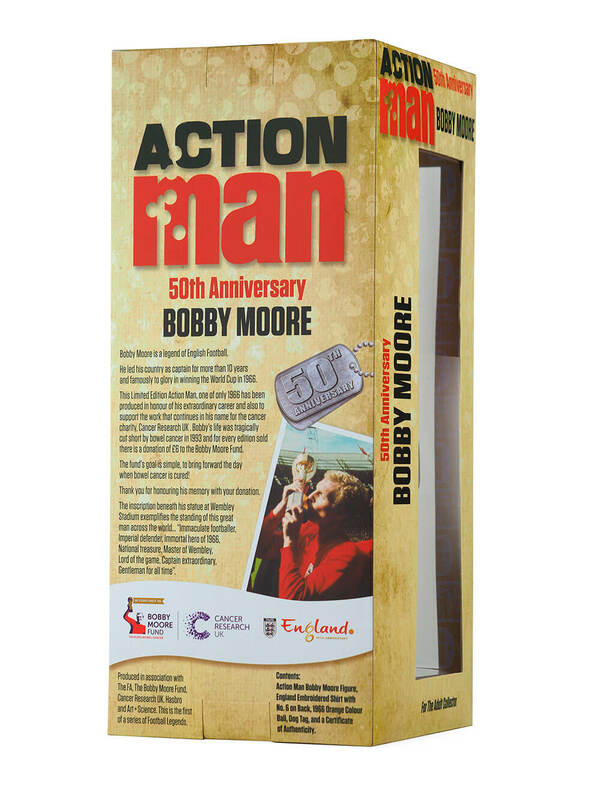 BOBBY MOORE LIMITED EDITION ACTION MAN (AM718): Red England football shirt with vintage embroidered England badge to front, and No.6 on the back, white shorts, red stockings, orange ball, boots, numbered Certificate of Authenticity (0001 - 1966), Action Man dog tag. Bobby Moore was the heroic England Captain that lead his team to it's finest glory in 1966 and his statue graces the new Wembley Stadium. 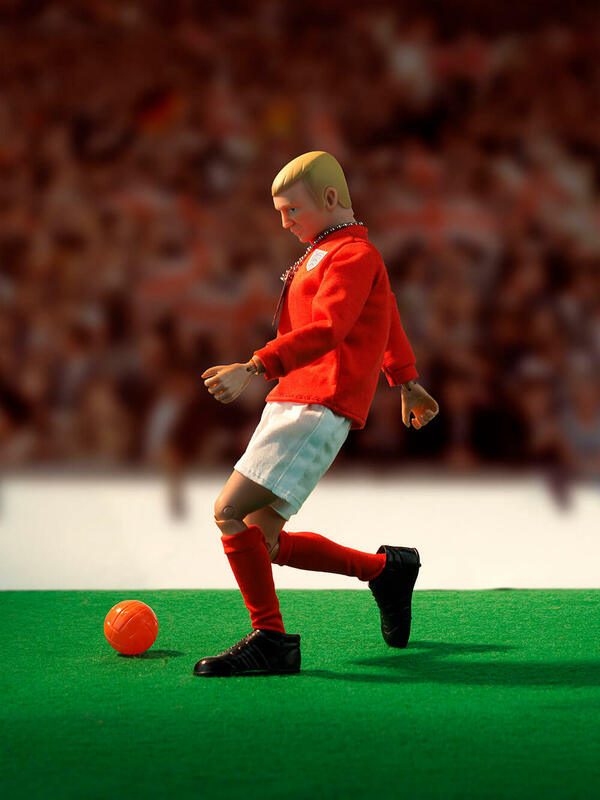 The ball in this set is unique (vintage Action Man sets have a white ball) being produced in orange - the colour of the World Cup Final ball in July 1966. The top is made from a fine stretch fabric that resists distortion. 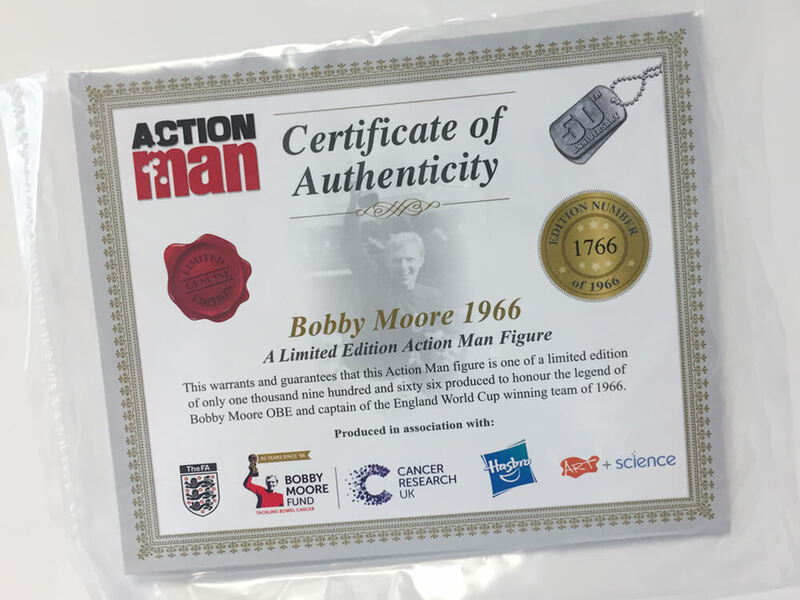 The FA allowed for the original 1960s England badge to be faithfully produced for Bobby's chest. 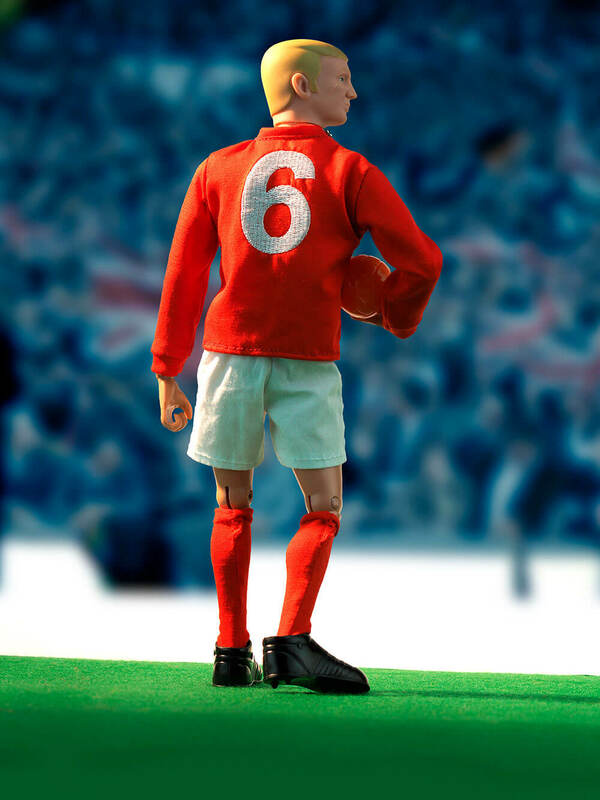 The famous 'No.6' is woven to the back of the shirt - refreshing as vintage Action Man footballers from the 1970s only had paper decals. 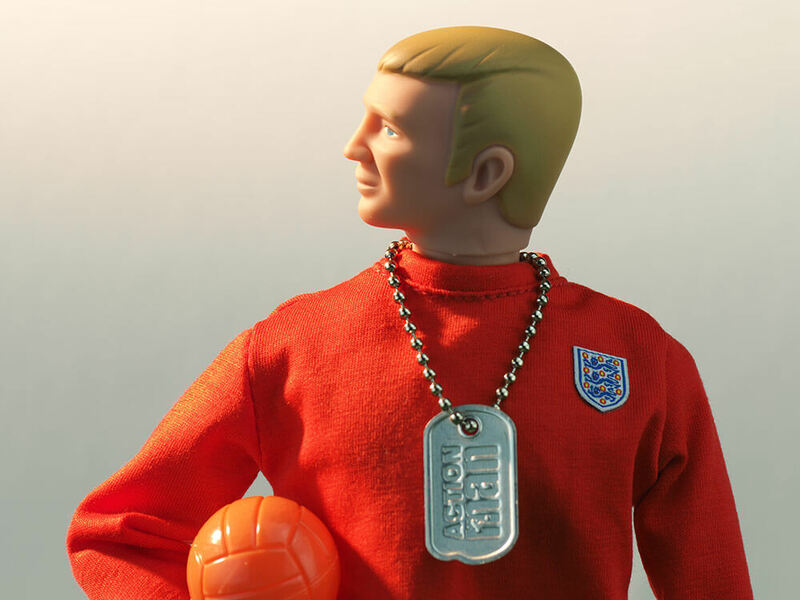 Action Man has never commemorated a footballer before and this is described as being the 'first of a series of football legends'. 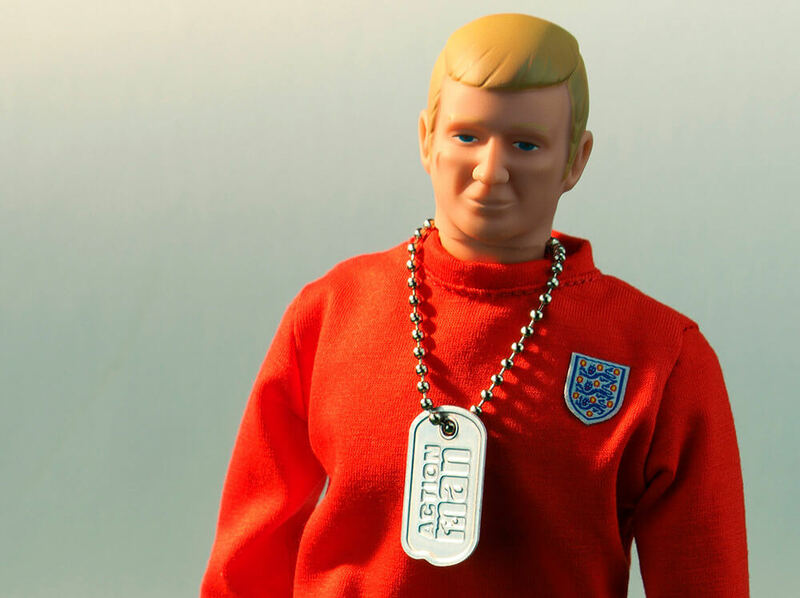 Bobby Moore's head sculpt was sympathetically modelled on a blend of 1960s Action Man, and Bobby Moore's likeness. 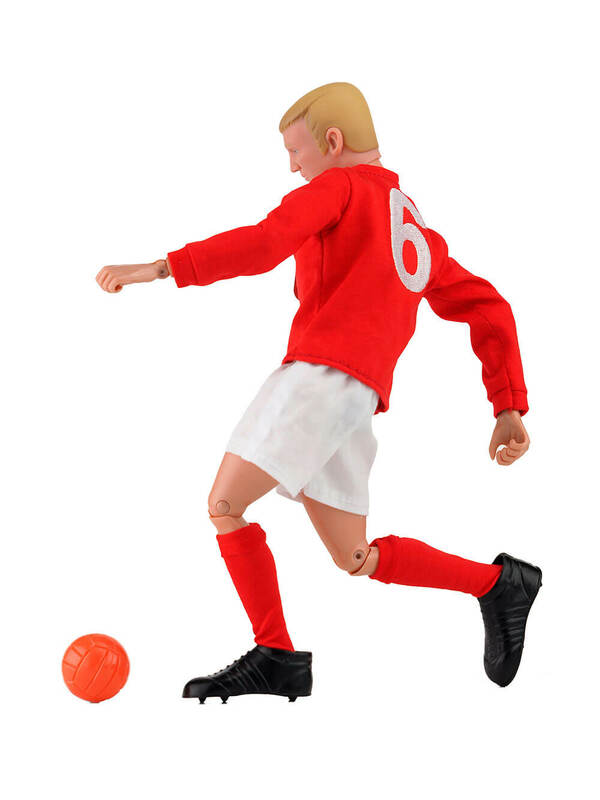 The original 1966 Action Man had painted hair, and rather fittingly, this commemorative figure chooses the same technique. 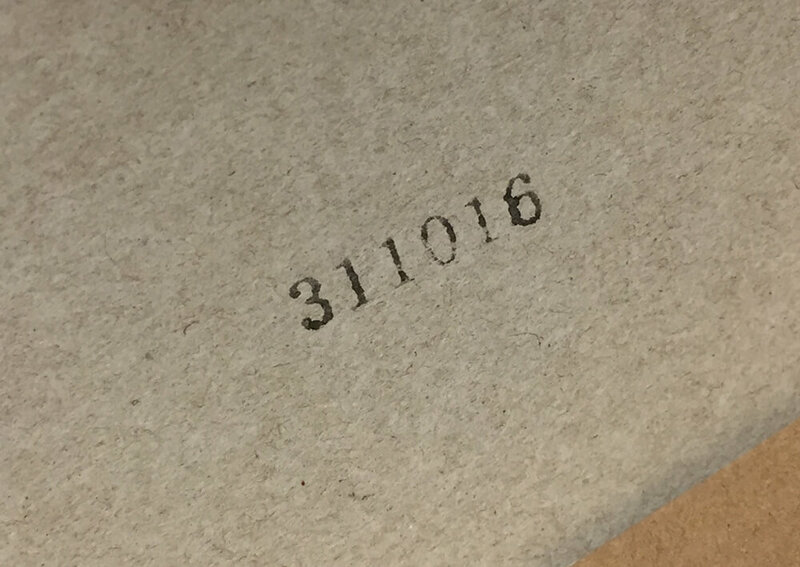 Inside the production boxes it shows a date stamp of manufacture on one of the top flaps as 31st October 2016. The figures are all hand-made to the same process as the original vintage figures. At launch the RRP was £59.99. 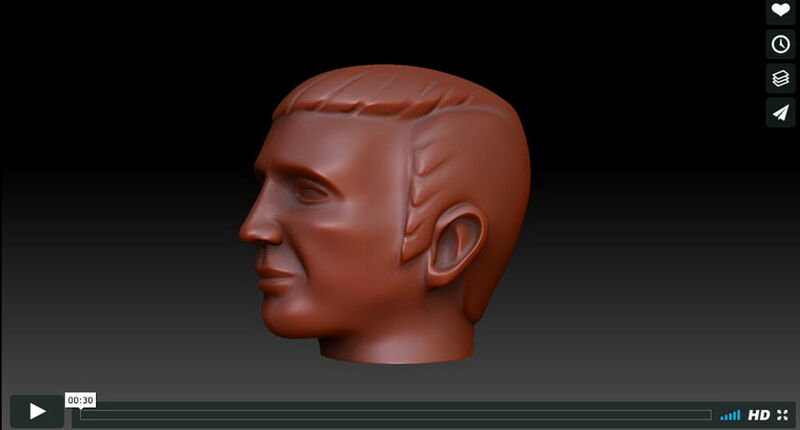 Action Man 50th Bobby Moore 3D Headsculpt courtesy of VFX Scanning. Click image to play.